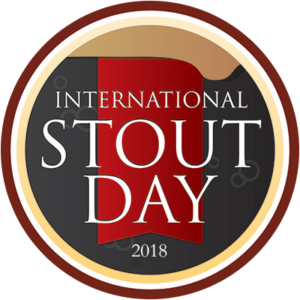 International Stout Day is coming and along with it, a worldwide celebration of one of the styles that truly helped shape the world of beer, the Stout! This beer style has a long history well worth raising a toast to. 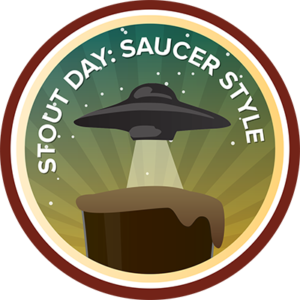 Enjoy your favorite stout on November 1st and you can earn this year’s Stout Day badge! Check-in to any “stout” style on Thursday, November 1st (in your local timezone) and the “Stout Day (2018)” is yours! UNTAPPD CELEBRATES STOUT DAY 2012 WITH 2 BADGES! “Who’s ready to dive into a deep, dark glass of deliciously malty stout? If you aren’t you’d better start getting ready. Stout Day 2012 is upon us and on Thursday, Novermber 8th the world will join in a global toast to this rich and full bodied style. Show your support by checking in to any style stout on November 8th and you will be rewarded with the 2012 Stout Day badge! https://stoutday.com/wp-content/uploads/2012/12/bdg_stoutDay2012_lg.png 400 400 Kelly Erickson http://stoutday.com/wp-content/uploads/2018/10/front-page-logo.png Kelly Erickson2012-12-07 21:56:412018-10-22 03:33:32UNTAPPD CELEBRATES STOUT DAY 2012 WITH 2 BADGES! We saw a tremendous turn out from Untappd users celebrating the first annual International Stout Day. Untappd launched a special edition badge for their craft beer community to unlock by checking in to any style Stout on November 3rd. With nearly 5,000 people unlocking the badge, Untappd users definitely showed their love for the dark stuff.